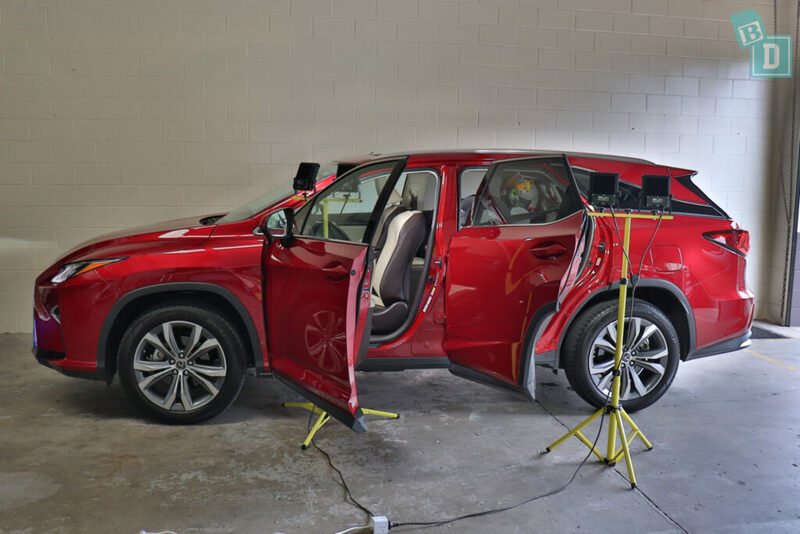 Which 7 seat SUVs will fit 3 child seats? HomeArticlesWhich 7 seat SUVs will fit 3 child seats? 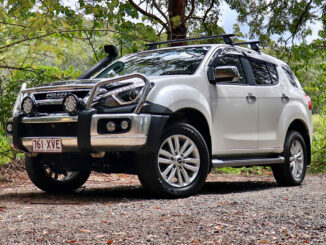 There are many seven or eight-seater SUVs on the market today that you would presume you would be able to fit five child seats in, but as I have found in my testing this is not the case! Some will only hold three across the second row of seats and they have no top tether or ISOFix in the third row at all. 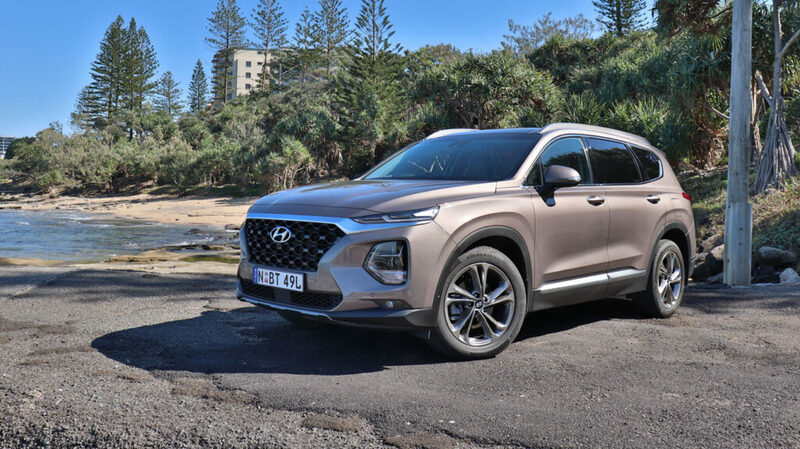 The 2018 HYUNDAI SANTA FE, fitted three child seats across the second-row, although with a rear-facing child-seat installed there was no room in the third row for passengers legs if you have a 182cm passenger in the front seat. There is top tether in the back of all three second-row seats and ISOFix in the two outer seats. The third-row seats don't have any top tethers or ISOFix. Boot space was really limited with all three rows of seats in use I could only get a compact stroller in the boot. 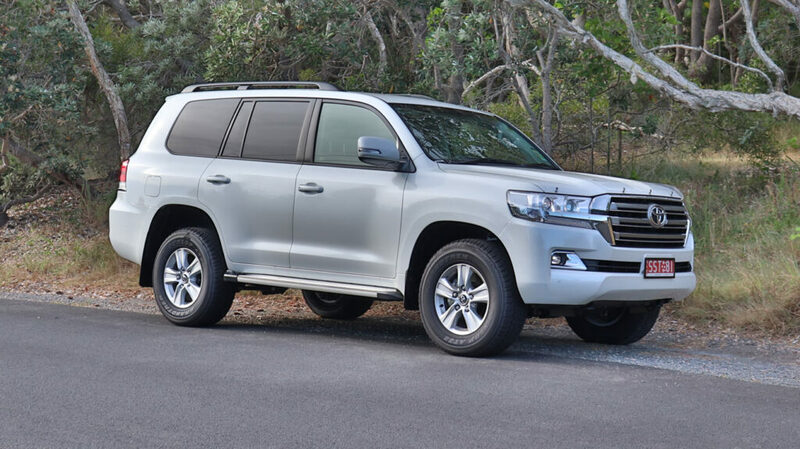 The Toyota Landcruiser 200 Series, has ISOFix in the two outer seats in the second-row behind velcro flaps, there are top tether in the back of all three second-row seats, the central one is right down the bottom so you may need an extension strap for some child seats. The third-row seats don't have any top tethers or ISOFix. I managed to fit three child seats across the second row of seats two forward facing and a rear facing, leg room was very good with rear-facing child seats installed a 183cm passenger could sit in front and I could sit behind and I'm 162cm. Boot space was good with all three rows of seats in use I could get all styles of strollers in the boot. 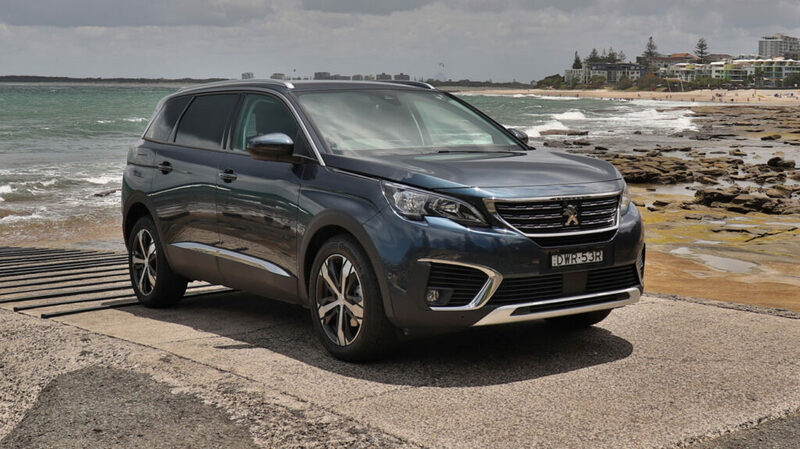 In the Peugeot 5008, there are ISOFix and top tether in all three second-row seats!! Woo hoo!! The third-row seats don't have any top tethers or ISOFix. I managed to fit three child seats easily across the second row of seats in the Peugeot 5008, the second-row seats are all individual seats making them easy to move and slide independently. Boot space was good when only using five seats but it lacked boot space when using all seven seats. 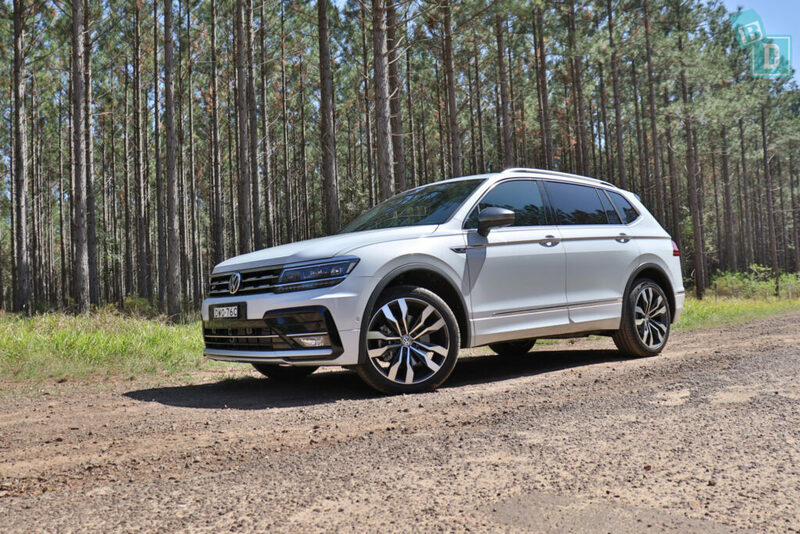 In the VW Tiguan Allspace, there are ISOFix in the two outer seats in the second-row and top tether in the back of three second-row seats. There are no top tethers or ISOFix in the third-row seats. I just managed to fit three child seats across the second row of seats, it was nice and flat which made installation easier yet the seat base was only just wide enough for the combination of three child seats I used. 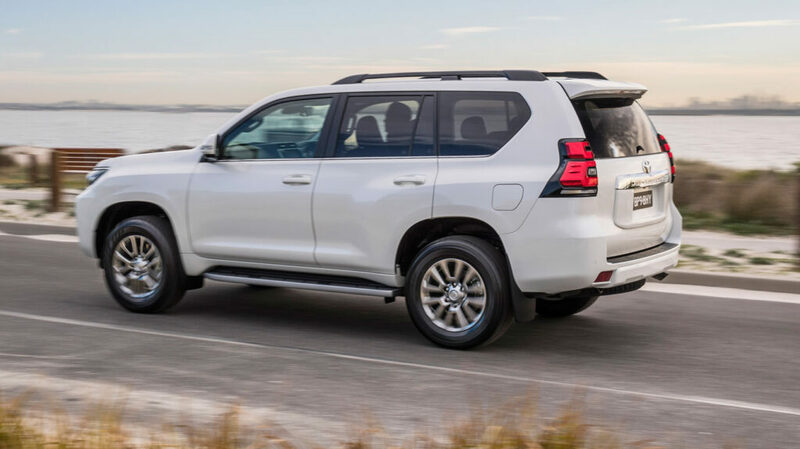 In the Toyota Prado VX, there are ISOFix in the two outer seats in the second-row and top tether in the back of three second-row seats and the third-row seats don't have any top tethers or ISOFix. I managed to fit three child seats across the second row of seats in the Toyota Prado VX, two forward facing and a rear facing, it was actually a bit tighter fit than I was expecting for a car of this size. Boot space was good when only using five seats but it really lacked boot space when using all seven seats. I managed to fit three child seats across the second row of seats in the Kia Sorento. The rear-facing Mountain Buggy Protect infant capsule on one side, the forward-facing Infasecure Kompressor 4 in the other outer seat and the Infasecure Foldaway booster seat in the central seat. There are ISOFix in the second rows two outer seats and top tether for all three second-row seats, but there were no ISOFix or top tethers in the third-row of seats so it limits the number of child seats you can install. 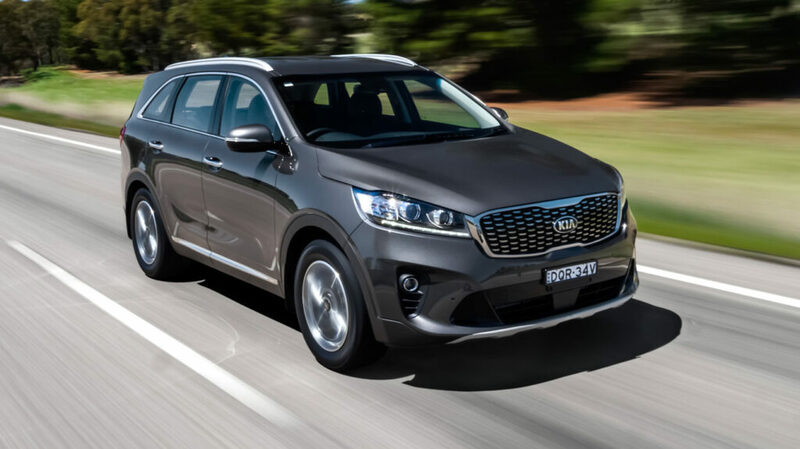 The 2017 Sorento is a few centimetres longer and wider than the previous model, which would account for the amount of interior cabin, boot space and the legroom. This car is seriously spacious for a seven-seater and we could fit a 184cm driver in front of a rear-facing child seat with a tall passenger in the third row too! The head and shoulder room was the only limiting factor in the third row but the legroom is definitely there. The Toyota Kluger's second row of seats has ISOFix in the two outer seats and top tether for all three seats. There was just enough room for three child seats to fit in the second-row. I fit two rear-facing ones on the outside seats; the Mountain Buggy Protect infant capsule and the Infasecure Kompressor 4, and the Infasecure Foldaway booster in between. Installation was relatively simple, the second-row seats slide forward, allowing enough room to get through to the third-row seats so you don’t have to remove any second-row child seats, which is BRILLIANT! 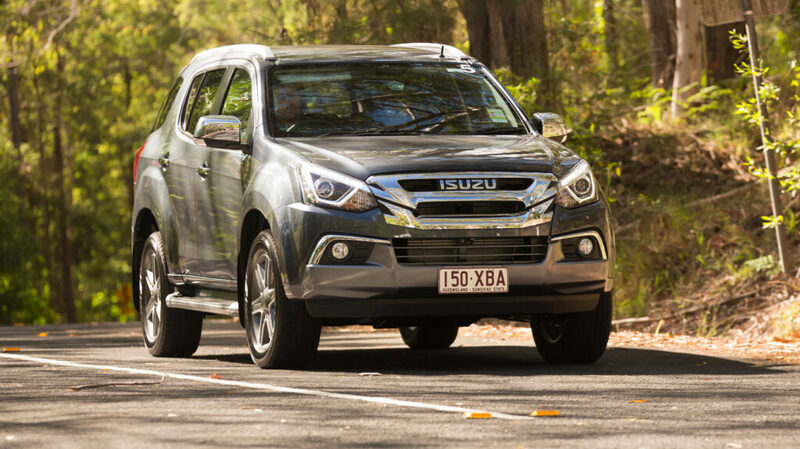 There were ISOFix and top tether in all three seats in the second row of the Isuzu MU-X. I found space was tight but I did manage to install three child seats across the second row. The Infasecure Kompressor 4 child seat and a Mountain Buggy Infant Protect capsule on either side and an Infasecure Foldaway booster seat in the middle seat, the seatbelt clip for the booster seat was disappointingly underneath the base of it, which in reality would make it very difficult to use on a day to day basis! 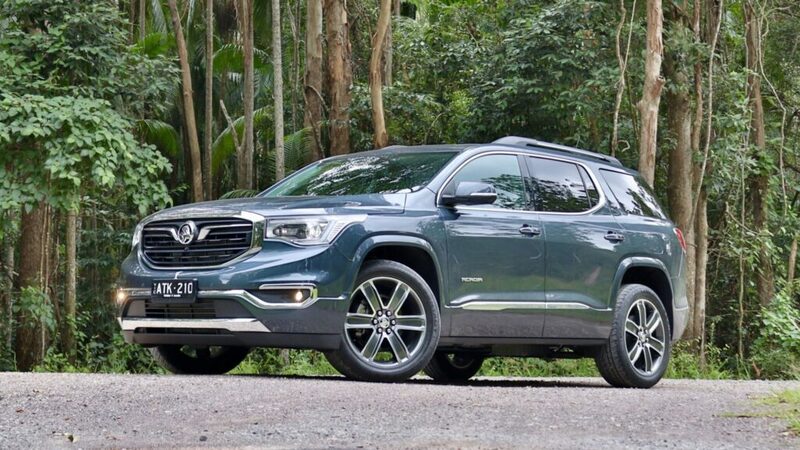 The 2019 Holden Acadia LTZ-V has FIVE top tethers!!!! WOO HOO!! They are all in plastic guides in the rear seatbacks and it has Isofix in the two outer second-row seats. I could install five big child seats which is fantastic! Legroom was very good in the Acadia too and the boot was space is good when using only five seats I could fit 18 shopping bags in or when using all three rows of seats I could fit five shopping bags in or a single or twin stroller fitted. 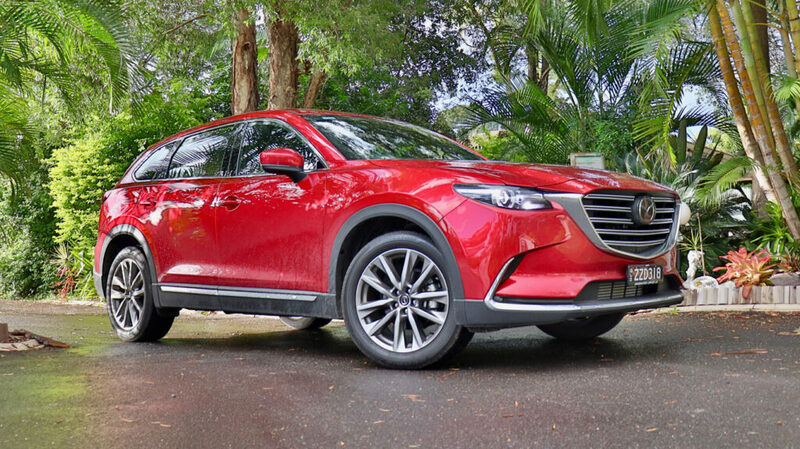 The Mazda CX-8 has ISOFix in the two outer seats in the second row, there are top tether in the back of all three second-row seats AND in the back of both third-row seats… 5 TOP TETHERS!!! I managed to fit three child seats across the second row of seats and two in the third row as well. Boot space was good with all three rows of seats in use I could still get a single stroller in the boot. I did manage to install four child seats in the Lexus RX350L there were limitations and I found it is not the most practical or family-friendly car! 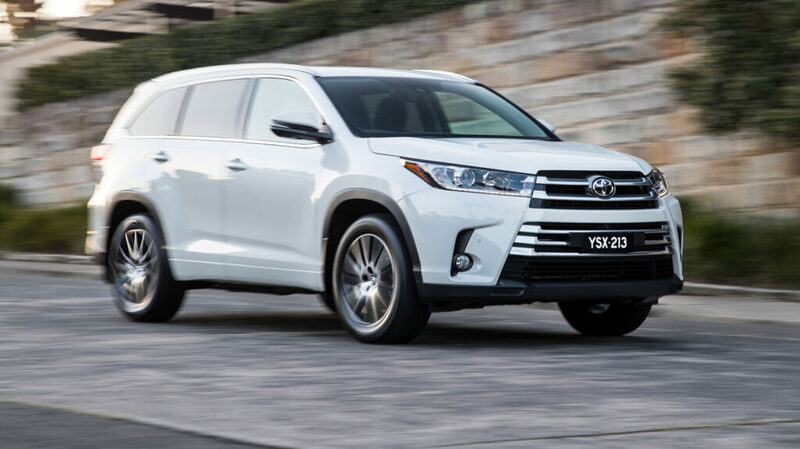 The large boot of the Lexus RX350L takes away from the space inside the car and when I came to install child seats, I discovered there is not really enough legroom in the car for it to be used as a genuine seven-seater. There are three top tethers across each of the backrests in the second row of seats and one in the third row of seats, in the backrest on the passenger side. They are all well labelled and easy to access and connect to. In the second row, there are ISOFix points in the two outer seats and although they are not within plastic guides, they contrast to the seat upholstery so are easy to locate and connect. I found I could not fit three forward-facing child seats across the second row there was not enough shoulder room, I could fit a forward facing Maxi Guard Pro booster seat in the central seat and a rear-facing Britax Unity infant capsule on one side and Britax Graphene (rear-facing) on the other outer seat. In the third row, I installed the forward facing Platinum Pro child seat, using the seatbelt and top tether, but there was very little leg room. I found the only way to access the third row was bringing the second-row seatback forward and so having to uninstall any child seats in the second-row outer seat! Which is totally impractical! Also with child seats installed in the second row, there really wasn't any legroom in the first and third rows! 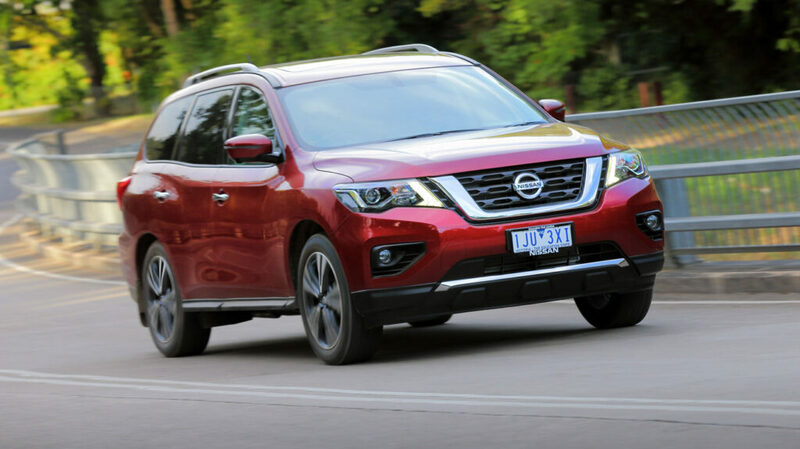 In the Nissan Pathfinder, there are two ISOFix points, one in each of the outer second-row seats. There are four top tether anchor points, in the backrests of all three second-row seats and there is one in the right-hand third-row seat! This was fantastic and allowed me to install four child seats using the seat belts and top tether points. In the third row, I installed the Britax Maxi Guard Pro forward facing booster seat. The seats were relatively easy to install and the only thing I had problems with was getting the top tether strap through the central seat headrest bars, as they were too close together making it very difficult. There was good space for forward facing and rear facing seats across the second-row. I installed the Britax Unity infant capsule rear facing on one side, the Britax Graphene forward facing in the middle seat and the Britax Platinum Pro would fit forward or rear facing in the other outside seat. Legroom was also very good in the Pathfinder. The second-row seats are split 60:40 and both sides slide to adjust the legroom. I found I could sit in the third row comfortably with a rear-facing child seat in the second row (and the second-row seat in the furthest back position) and the driver's seat has plenty of room for most size drivers. The second-row seats also have a mechanism that allows you to move an outer seat forward with a child seat installed and have enough room to climb through to the third-row seats. The child seat MUST be using the ISO Fix and top tether connectors though, not the seatbelt and top tether. 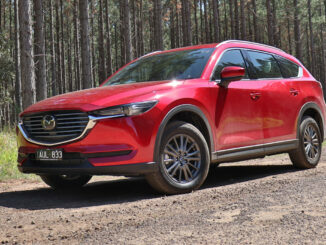 The Mazda CX-9 has FIVE top tether points?!! Yes! They are in all three central row seats and both third-row seats too! But the central seat's anchor point was strangely located slightly under the seat base and not clearly labelled, which didn't fill me with confidence when I was installing my child seat! There are ISOFix points in both the outer second-row seats, they are hidden in slits of the seat leather so you do have to line them up carefully and are not as simple as when they're within plastic guides. The second-row seat, behind the front passengers, has a folding mechanism that allows it to fold and move forward with a child seat installed (if using the ISO Fix, not the seatbelt) and gives a big step-through access to the third-row seats! 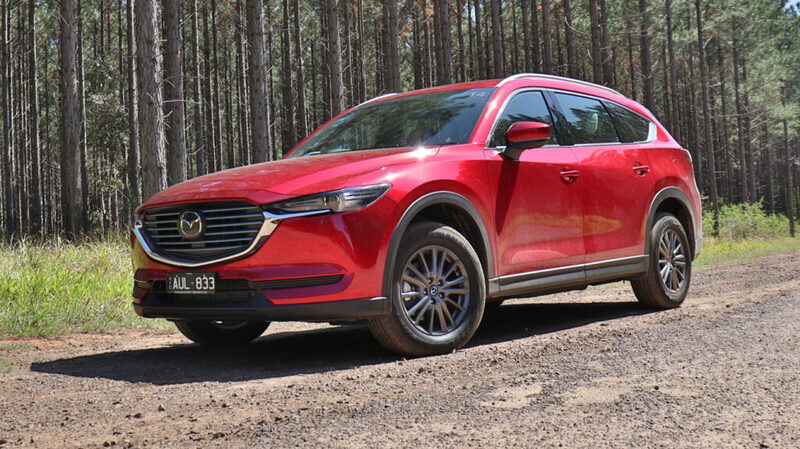 I managed to very comfortably fit five large Britax child seats into the CX-9, still with plenty of legroom in the front for driver and 23cm of knee room for the front passenger! First, I put the Britax Platinum Pro in the third row and the rear-facing Britax Unity infant capsule and Britax Graphene (installed as rear facing) in the second-row outer seats and the Britax Kid Guard Pro booster seat in the central seat, there was plenty of space around the seats and installation was really simple. 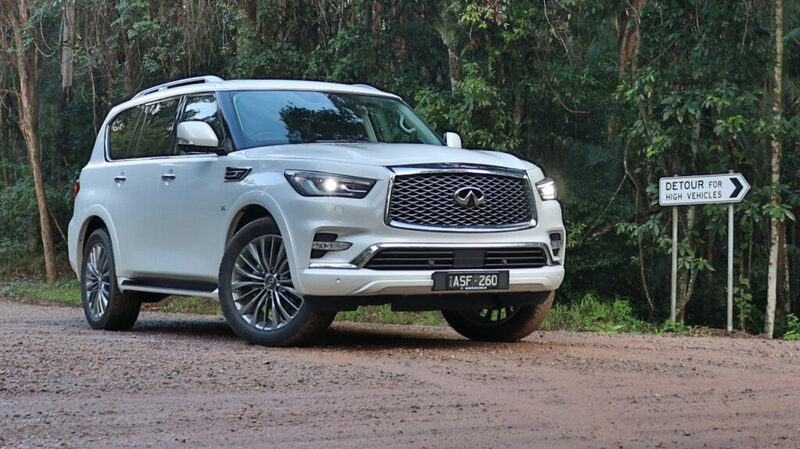 I could install four large Britax child seats into the Infiniti QX80 and there was so much space in the second-row seats that I could use the ISOFix rather than the seatbelts to connect the two outer child seats! I fitted the Britax Platinum Pro forward-facing and Britax Graphene rear-facing in the two outer seats and the Britax Kid Guard Pro booster in between. In the third row, I fitted the Britax Maxi Guard Pro using the seatbelt and top tether. In the Infiniti QX80, the only way to access the third row was by folding forward the second-row outer seat so you would have to uninstall any child seat fitted there! Which is totally impractical! It's also disappointing in a seven-seater car! 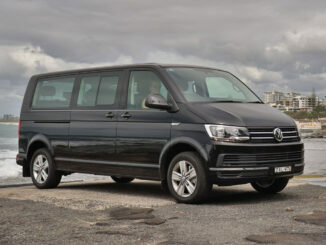 Which 7 seaters will fit 4 child seats?